I don’t expect a log of blog traffic on Thanksgiving Day. I surely hope that those of you in the U.S. are enjoying time with friends, family, and, of course, food! But perhaps you are looking for some pre- or post-feast entertainment, or perhaps you are in another country wondering what all the fuss is about. If so, you might enjoy a Thanksgiving visit to the Plimoth Plantation, a fascinating place that includes a re-creation of the settlement created by the Mayflower Pilgrims, as it existed seven years after landing, and a nearby re-creation of a Wampanoag homesite. 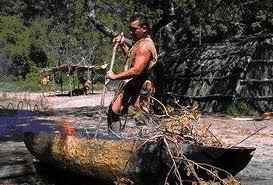 The Wampanoag are the native people who lived in the Plimoth area long before the advent of the Pilgrims. I was fortunate to be able to actually visit the Plantation when I lived in New England, but fortunately, a virtual visit is available to everyone. The Plantation’s website features a fine collection of Thanksgiving resources designed for young historians, but interesting to explorers of all ages. They help sort Thanksgiving myth from fact, and demonstrate the way historical evidence helps us ask questions and find answers—that may not match the pictures on holiday greeting cards! You might enjoy exploring some of these activities. They are a fine view into both history and historical research, regardless of your age or location. 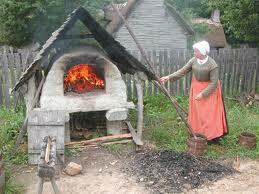 The Children’s Essay introduces Thanksgiving’s history in student-friendly language. It also leads to lots of interesting links on clothing, food animals, and other information about life in and around Plimoth for both the Pilgrims and the Wampanoag. You are the Historian contains a series of activities that allows you to explore truth, fiction, and evidence about the first Thanksgiving. 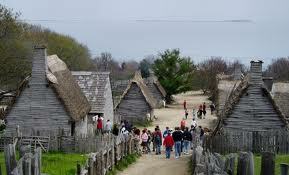 The Virtual Field Trip to Plimoth gives you the chance to see what life was life for the pilgrims of Plimoth. You can even learn to Talk Like A Pilgrim, by listening to recordings of English at it would have been spoken in the 17th century. While you explore, think about how the website can help budding historians of all ages envision new questions and explorations to come. It is a creative Thanksgiving thought, to be sure!